thanks for creating this guide for us. I hope i can learn alot from it..
so then.. lets start reading! I hope this will help my website. Am I allowed to use "five curious facts about web search" on my presentation to my clients ? Can you let us know the source of the info to build the credibility ?? I couldn't believe that you are compiling and guiding us all for free! 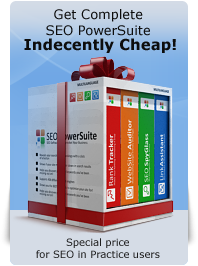 If i would have stumbled other sources of SEO guide like this elsewhere, they must have cost so dearly! Thanks for putting this up Dan. I'm desperate in making my sites SEO friendly for affiliate marketing purposes. Your guide is definitely a savior. Thanks for giving me the invite. And thanks for the guide. Wish I can scan it and apply to my work. Alas I acn't do that. First lines sounds good, lets if you really give good hints. The first words are quite catchy! I believe the rest of the book will be as interesting as I it looks at the begining! PS. Please make Add new comment form to appear somewhere near to the Add comment link, but not at the end of the page, as it seems that nothing happend when I clicked Add comment.